NEW YORK (CNN) -- A model who was slammed with derogatory terms by an anonymous blogger has the right to learn the identity of her online heckler, a judge ruled. 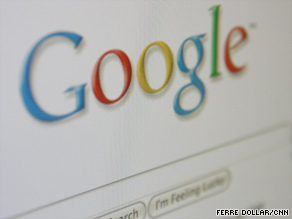 Google complied with the court's ruling, submitting the creator's IP address and e-mail address. In August 2008, a user of Blogger.com, Google's blogging service, created "Skanks in NYC," a site that assailed Liskula Cohen, 37, a Canadian-born onetime cover girl who has appeared in Vogue and other fashion magazines. The blog featured photos of Cohen captioned with terms including "psychotic," "ho," and "skank." On Monday, New York Supreme Court Judge Joan Madden ruled that Google must hand over to Cohen any identifying information it possesses about the blog's creator. Steven Wagner, Cohen's attorney, said Google complied with the ruling Tuesday evening, submitting to his legal team the creator's IP address and e-mail address. Only a valid e-mail address is required to register for a blog on Blogger.com. Wagner said that once his legal team tracks the e-mail address to a name, the next step will be to sue Cohen's detractor for defamation. He said he suspected the creator of the blog is an acquaintance of Cohen. The blog has not been operational for months. The unidentified creator of the blog was represented in court by an attorney, Anne Salisbury, who said her client voluntarily took the blog down when Cohen initiated legal action against it. Salisbury suggested that Cohen is more interested in attracting publicity than restoring her reputation. She contended her client's blog would have languished harmlessly in obscurity had Cohen not filed suit. The site had negligible traffic and only five posts on it, all written on a single day, she said. In her ruling, the judge quoted a Virginia court that ruled in a similar case that nameless online taunters should be held accountable when their derision crosses a line. "The protection of the right to communicate anonymously must be balanced against the need to assure that those persons who choose to abuse the opportunities presented by this medium can be made to answer for such transgressions," the judge said, quoting the Virginia decision. Cohen's attorney said he was "happy that the court recognizes that the Internet is not a place where people can freely defame people." But the blogger's attorney strongly disputed the judge's reasoning. Salisbury asserted that her client's invective was not unusual for the Internet, and that hyperbolic online name-calling is so rampant -- "in comments sections, on Twitter, on blogs" as to practically be part of the Web's DNA. She warned that Monday's ruling has "potentially damaging implications for free speech on the Internet." After the ruling, a Google spokesman expressed sympathy for targets of Internet insult-slinging, but said the company divulges user information only when ordered to do so by a court. "We sympathize with anyone who may be the victim of cyberbullying. We also take great care to respect privacy concerns and will only provide information about a user in response to a subpoena or other court order," Google's Andrew Pederson said.